Are you ready for Red Carpet Season? Recently seen on the Golden Globes red carpet, there’s already a return to glamour – and we’re seeing it range from a very polished glamour to a more of an undone glamour. 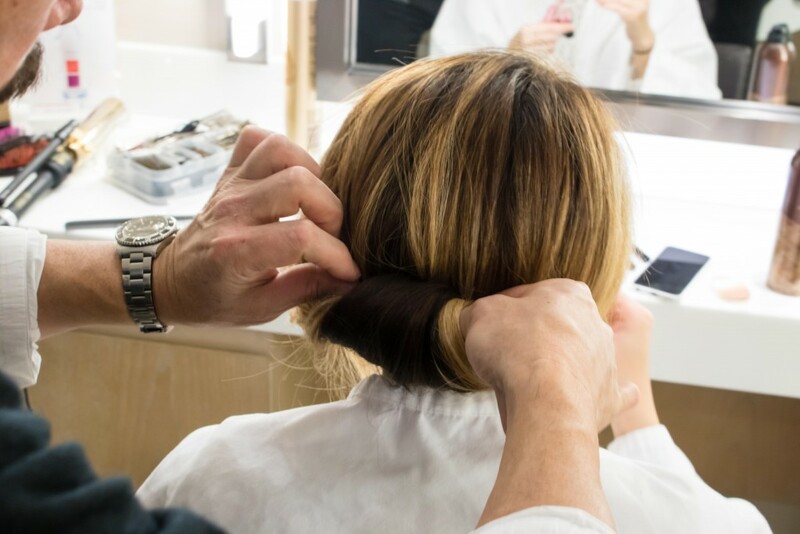 Kevin Lee, Style Director, shares his favorite look so far, Emma Stone, and how to recreate her “undo” hairstyle, and Marris Ambrose, Color Director, shares how to achieve a beautiful moonlit color like Mandy Moore! Step 1: Use a curling to curl the hair around the frame of the face in four sections. 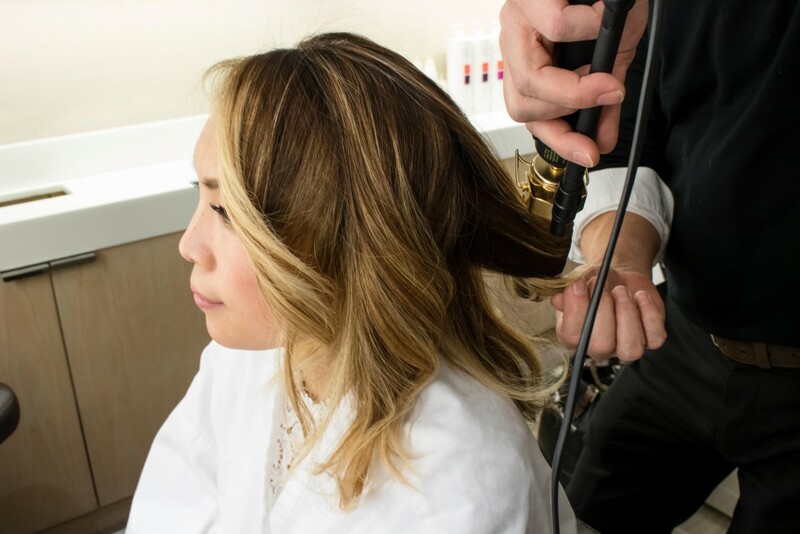 Ideally, you will want to use a larger curling iron with a 1.5 inch rod. Step 2: Rake the hair with your fingers and pull it back to your nape. 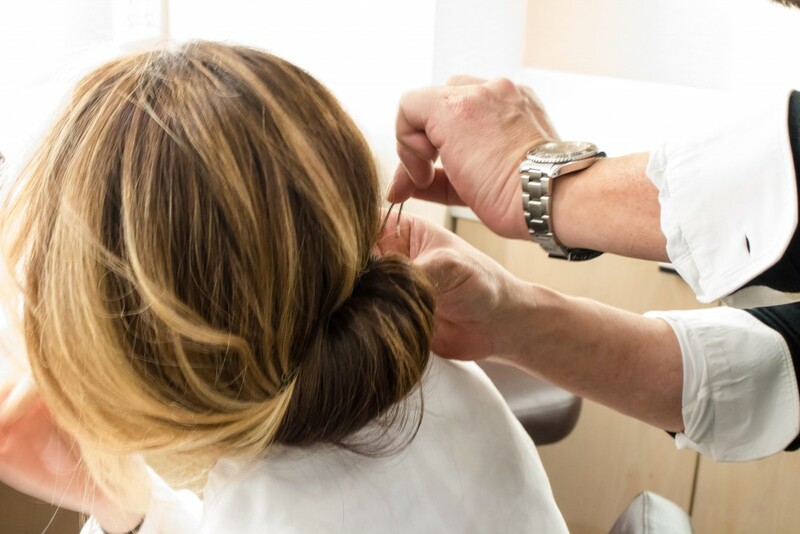 Loop a hair tie around the hair loosely and gently pull it towards the end of the hair. Step 3: Roll the low ponytail up towards the crown of the head. Try not to roll too loosely, or too tightly – you want to maintain the shape throughout. A good technique would be to measure using two fingers inside the roll. Step 4: Use bobby pins to secure, pinning inside the roll to the hair. Step 5: Gently pull a piece of hair out for a wispy side bang, and voila! The “Undo”!